Remodeling a bathroom is a big task. Before you get started tearing out the old and putting in the new, you want to make sure that everything is ready to go and that conditions are favorable to making major changes to your home. 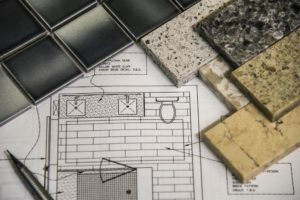 There’s a lot of prep work that goes into home renovation projects, and one of the most overlooked things that people forget to consider is the effect the season can have on the success and length of a remodel. Technically, a bathroom can be remodeled any time of the year. That said, there are several advantages to remodeling your bathroom during the summer which you don’t get during the other seasons. If you’re going to be installing a new tub shower unit, tearing out an old vanity, or making any other major changes to your bathroom, here’s why summer is the best time to do it. This may seem like an obvious thing to say, but summer is the warmest time of year, which means that it’s also the best time to be working outside. Major remodeling projects will have people working outside as much as inside, and summer is the season most likely to have favorable outdoor conditions conducive to performing this kind of work. On top of that, you and your family will probably have to spend a fair amount of time outdoors while work is being done on the home. Why not schedule the work for when it’s most enjoyable to be outside? 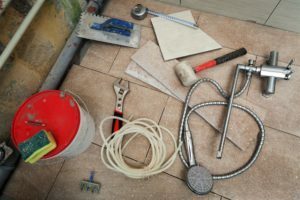 Another reason summer is a good time for remodeling bathrooms is that it’s one of the easiest times to find plumbers and other contractors to help out in a timely manner. During the winter and spring, it can be harder to find a plumber for long-term work because they will be busy fielding calls from customers dealing with floods, frozen pipes, and other cold weather issues. If you’re making major changes to your home or you don’t have any experience working with plumbing, then having a plumber on hand to help is a must. One of the nice things about home renovations is that they give you a perfect excuse to get out of the house and spend time somewhere else. Instead of hanging around town for days or weeks, waiting for your major home renovations to be completed, why not use the time to take a trip? Summer is typically the season when people take vacations, meaning there should be plenty of places to go and lots of good deals on offer to help you save money on travel fares and lodging. If you’ve been putting off taking a vacation, your home remodeling project could give you the perfect excuse to finally take it. Just be sure to give your contractor your contact information so they can get in touch with you as needed. Need bathroom remodeling supplies? Contact American Bath Enterprises Inc. today at 888-228-4925.